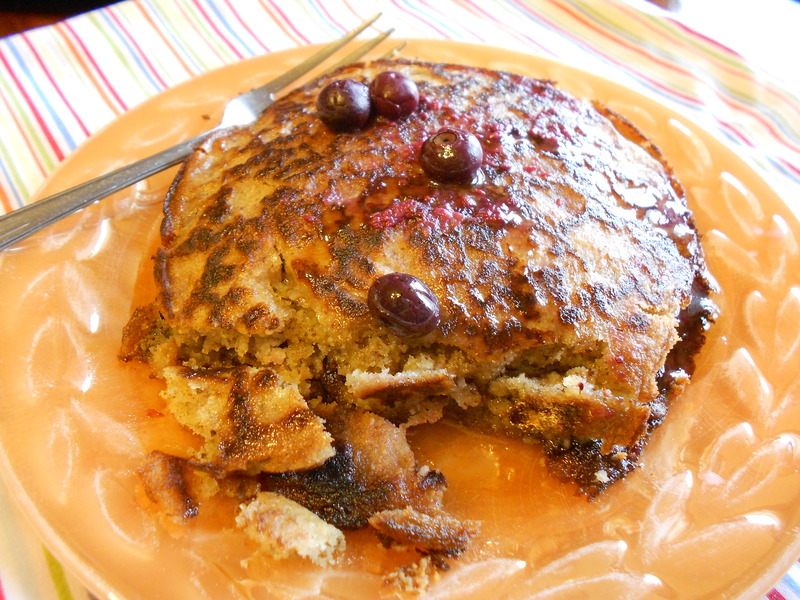 Okay, the day I photographed these pancakes, I used only blueberries. But trust me, there were a lot more berries than what showed up in the pictures! They are between the 2 pancakes. Yum!